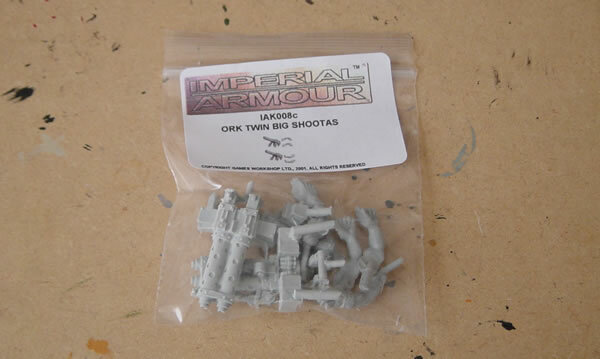 I have purchased some Twin Big Shootas from Forgeworld, you also get a pack with the Gunwagon with Kannon as well. 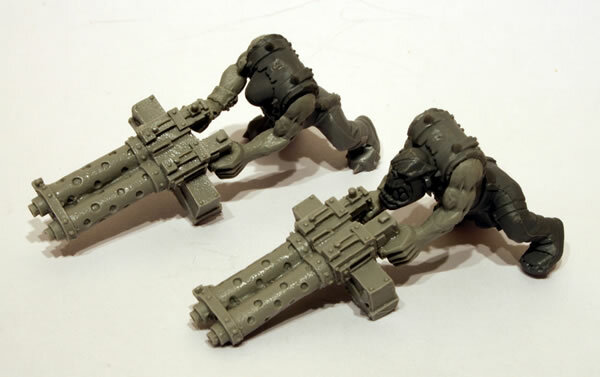 This article covers a few different Orks with Twin Big Shootas. 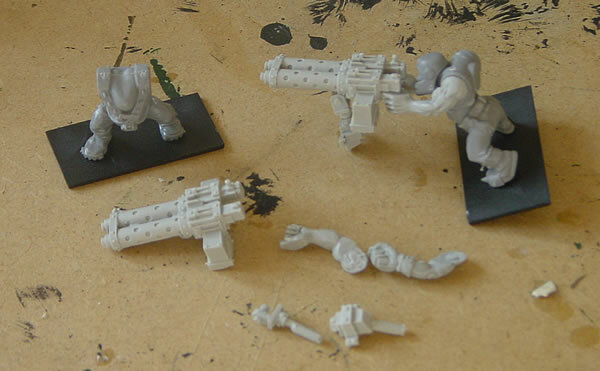 My intention is to use them as either weapon mounts on some Ork Trukks or even heavy weapon emplacements. I have even considered using them to replace the weapons on the Deth Koptas to give them even more individualism. 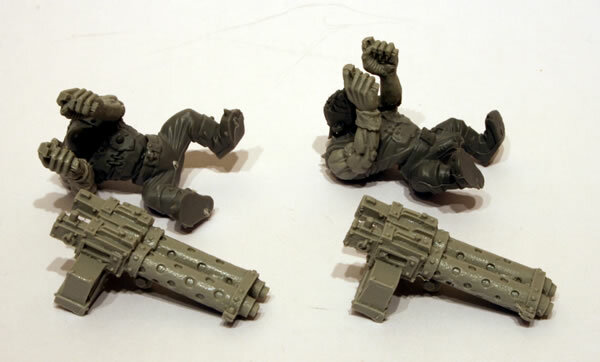 I have started putting together my Orks with Forgeworld Twin Big Shootas. They are very nice resin pieces, here are another couple of them in progress. Generally I stick the arms on first, before gluing the gun to the hands. One thing to remember is that it is very easy to glue the Ork shooting upwards, so if you want the Ork to be firing straight on then ensure you get the arms into the correct position. Though they are designed as weapon systems for Forgeworld vehicles, it would be nice if they also allowed you to use them as standalone heavy weapons by including a ground mount. I may scratchbuild some ground mounts allowing my Orks to have additional heavy weapons on the ground rather than just attached to the vehicles. What do you mean it is not in the Codex.... it doesn't matter. Having put them together I undercoated them with black paint. These two which I undercoated show why it is so important to wash your Forge World models. As you can see the undercoat has already started to flake off the resin guns and I haven't even started to paint or drybrush!